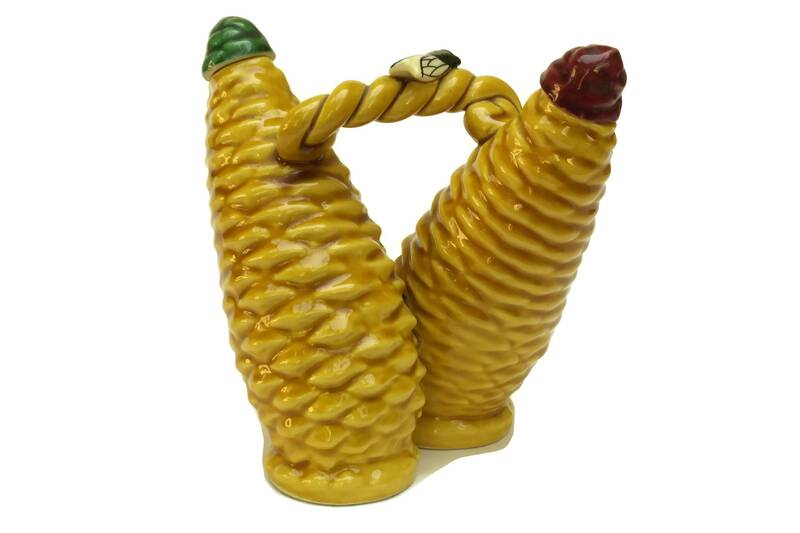 Majolica Pine Cone Oil and Vinegar Set by Albert Ferlay. Vallauris French Olive Oil and Vinaigrette Bottles. Ceramic Salad Dressing Pourers. 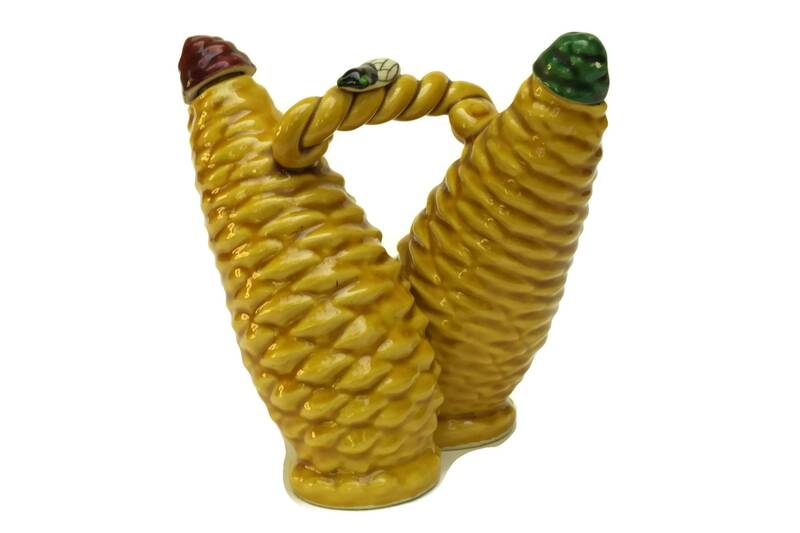 A charming French Majolica pine cone oil and vinegar set created by the famous Vallauris ceramist Albert Ferlay. 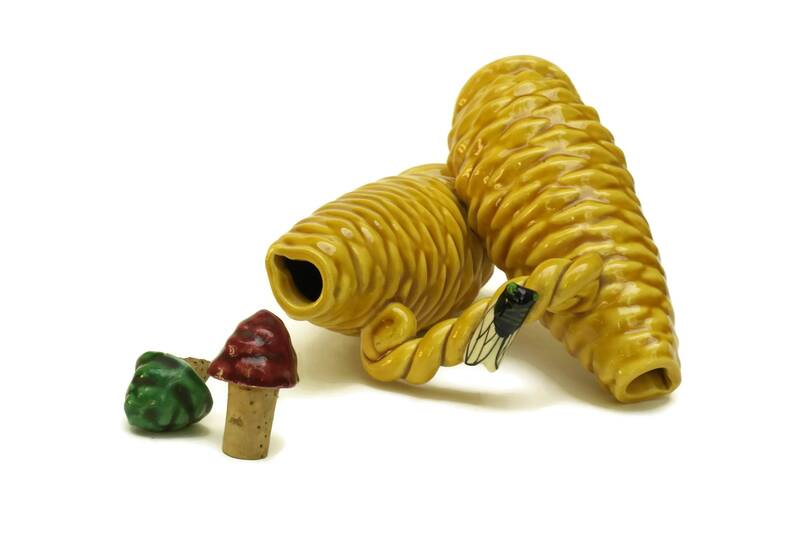 The olive oil and vinaigrette bottles have been made in the form of yellow pine cones linked together by a twisted handle decorated with a cicada. 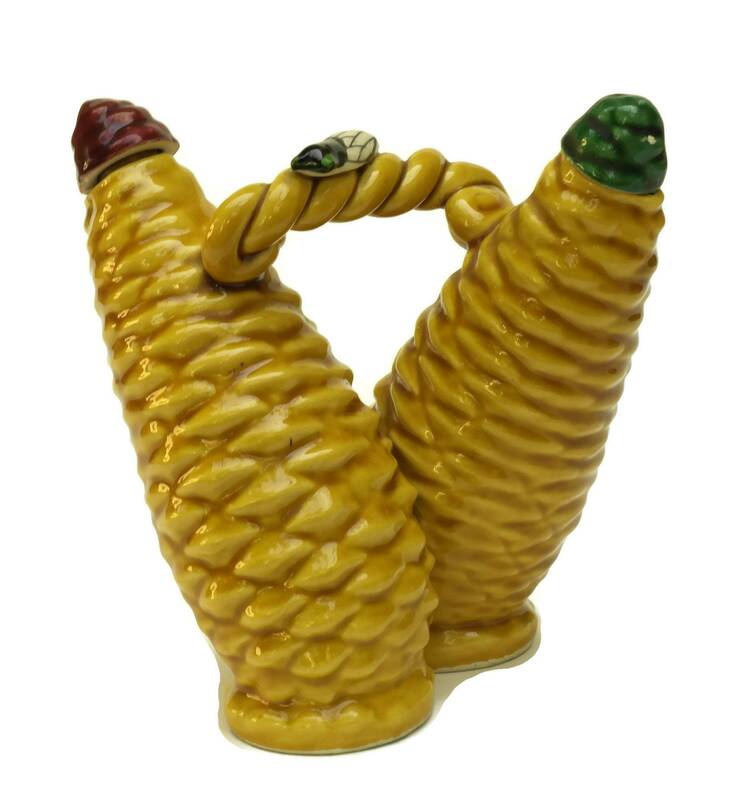 The piece was manufactured in Vallauris, a renowned source of pottery where Pablo Picasso spent time developing his ceramic techniques. 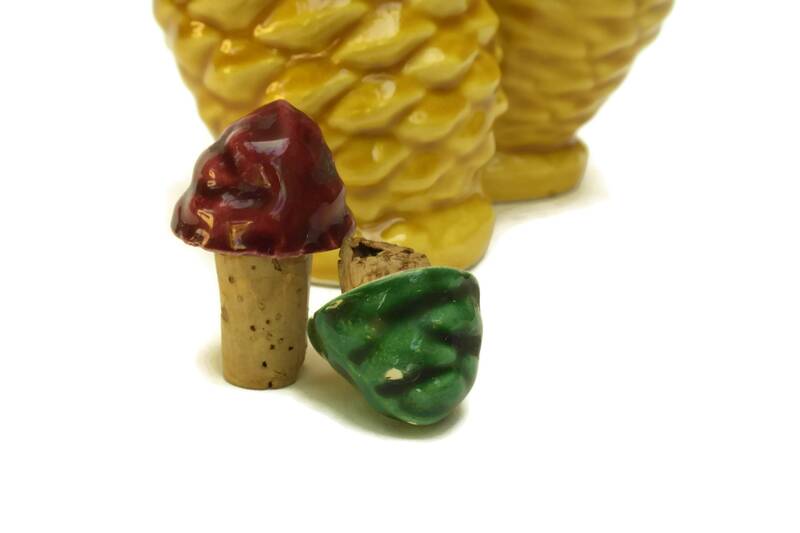 Each bottle has its original cork stopper. 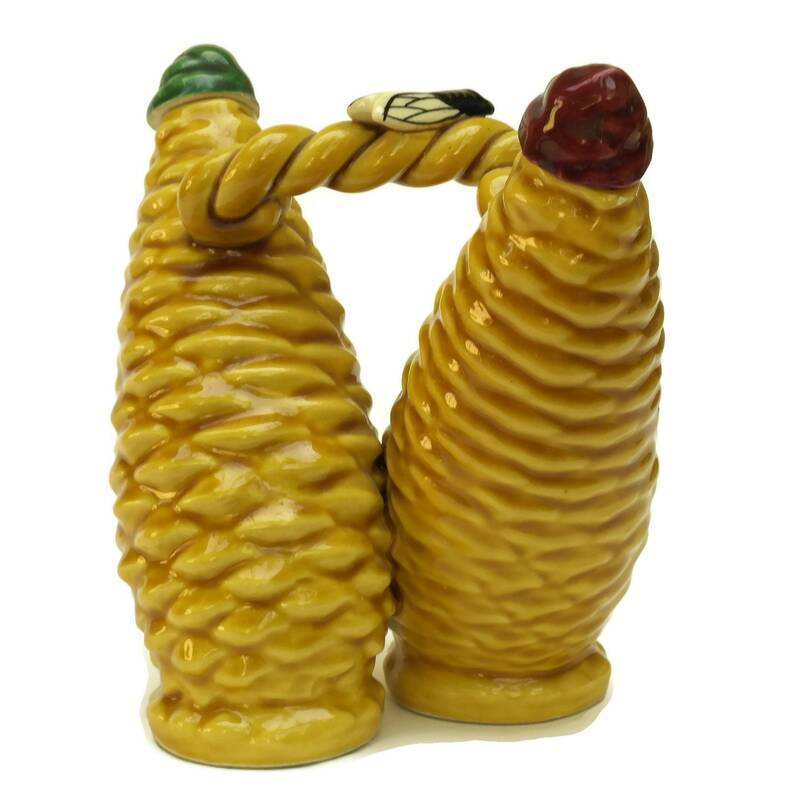 The set has been hand painted with a rich glazed and has a realistic textured surface. 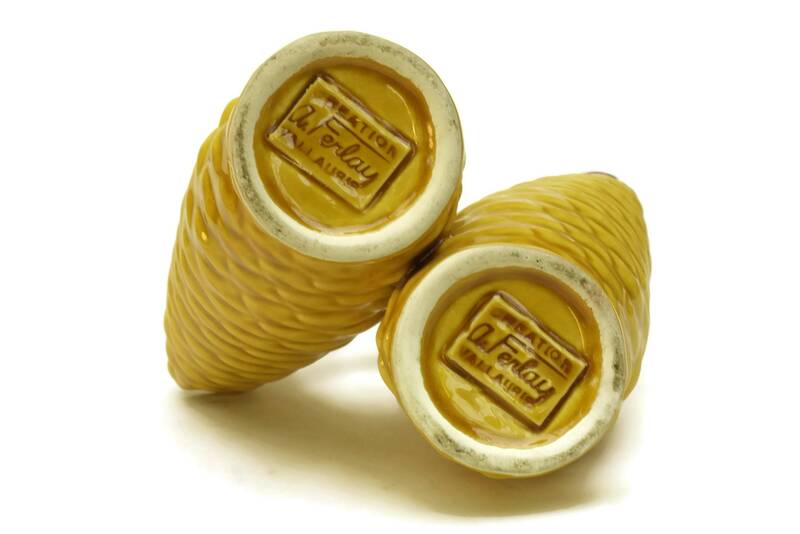 The base has been stamped "Créations A. Ferlay Vallauris". It will make a lovely touch of French Provence on your table decor. 6" Tall x 5” Wide (15 cm x 13 cm). The set is in very good vintage condition with some signs of age and wear inclduing two small flakes on the glaze of the green stopper. One of the cork stopper is half broken.